Samsung Chromebook Pro Currently “Under Review” On Amazon. But, Why? 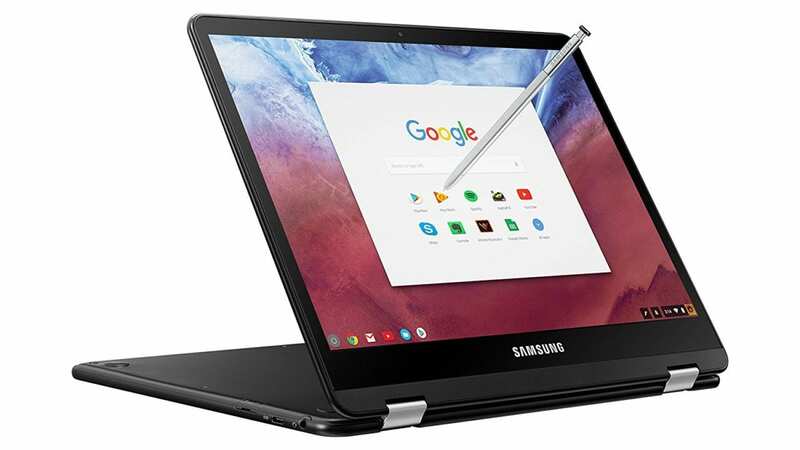 The Samsung Chromebook Pro is just now getting its legs under it as inventory is becoming more and more available at a wider number of retailers. As expected, after the initial release, stock of the Pro was hit-or-miss due to high demand and the presumably large number of pre-orders waiting to be shipped. Now it appears the “flagship” Chromebook may be facing another issue. The Samsung Chromebook Pro listing has been marked “currently unavailable” on Amazon. Normally, this would just mean they are out of stock and don’t have a firm date on when more will arrive. This time is a bit different, however. Below the listing is something I, personally, have never seen on Amazon before. Right below the product details you will find this alert. I’m sure this type of alert isn’t new but I’ve never seen it before. The verbiage is fairly vague and could be attributed to countless reasons why a product my be “under review.” Shipping problems, misinformation in the product listing or yes, multiple complaints about a particular issue with the product. When I first learned of the Amazon listing alert, I was inclined to think it may be one of the first two issues. We have a Pro around the office and it is a solid machine. Also, I haven’t noticed any repetitive hardware complaints in the Google Product forum or social platforms. At second glance, I realized all the third-party listings on Amazon have been removed as well. The scalpers, tech store fronts and even used devices are all gone. That means Amazon likely has a legitimate reason or reasons to put the Pro on hold. We have reached out to our contacts at Samsung hoping to find some clarity on this issue. 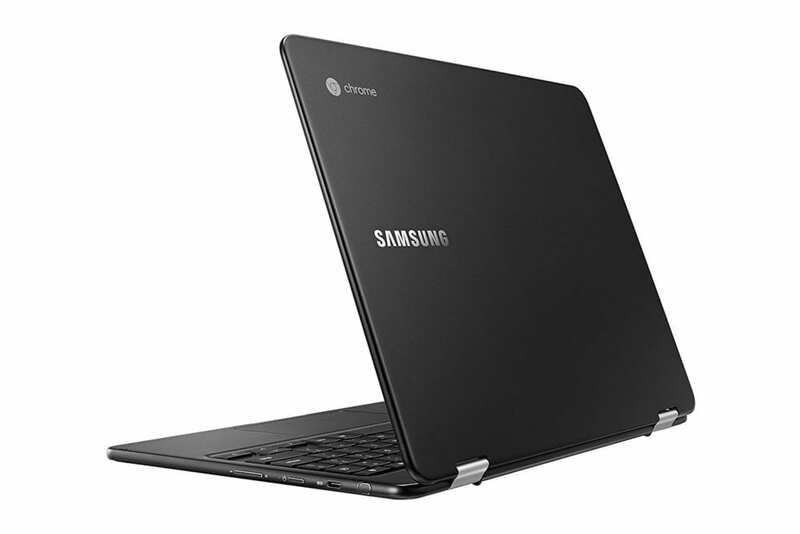 The Chromebook Pro hasn’t been pulled from any other retailers, including Samsung. Perhaps Amazon is the only retailer that has fielded enough complaints to warrant a review. I have been made privy to a couple of possible hardware problems with the Pro that could be at the root of this unusual happenstance. The first is a Google+ post from a user stating his display has started getting vertical lines in it. While this issue is a big one, it looks to be isolated for now so I don’t tend to think this is the culprit. Hopefully, his problem is a faulty unit and a replacement will solve the problem. The second, and most unlikely in my opinion, is the belief that the Intel-based Pro could suffer from overheating problems. I have yet to see anyone report as such and we actually have comments on Chrome Unboxed to the contrary. I have absolutely no reason to believe this will be a problem for the Pro nor is it the key to the Amazon review. The third, and more probably scenario, comes in the form of creaking sound coming from the area of the right side speaker grill. We have multiple comments on the site referring to this issue and Robby’s Pro is suffering the same complication. Sadly, the noise has increased with use and, while not a performance issue, is an annoyance and a big strike against build quality. With any luck, the problem is just a minor issue with the metal body flexing in an unexpected manner. With Amazon placing orders on hold if would be my hope that Samsung will issue some form of repair/replace policy for the Pro. We have yet to see this problem arise with the Chromebook Plus. With a much greater time in service, it’s likely we won’t. We will report back as soon as we receive any news on the state of the Chromebook Pro and the Amazon alert. Special thanks to our good friend Maison Pulaski for bringing this to our attention.